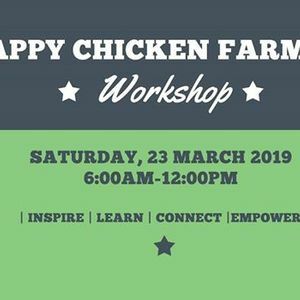 Happy Chicken Farming Workshop is a one day course on ethical chicken farming. We show you how to set up your homestead to farm chickens for breeding. Learn about incubating, hatching and raising chickens successfully. Learn how to raise layers as well as meat chickens. 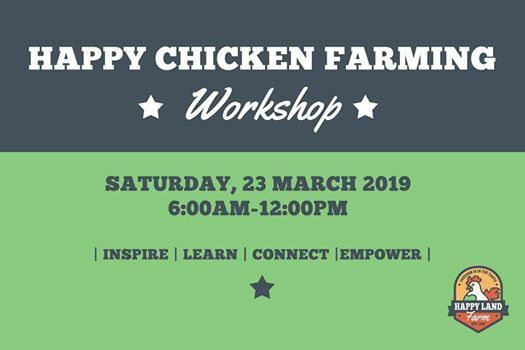 Expect a goodie bag + the Happy Land Farm book plus our famous farm-style egg roll breakfast and chicken potjie lunch. Book your place now by emailing cm9iZXJ0IHwgaGFwcHlsYW5kZmFybSAhIGNvICEgemE=. We are limited to ONLY 15 attendees - first come first basis.